The Nelson Mandela Foundation works to ensure that the world has access to an integrated, dynamic and trusted information resource on Nelson Mandela’s life, times and legacy. The Foundation focuses its work on convening dialogue around critical social issues, human rights and democracy as a vital instrument in the promotion of justice and social cohesion. 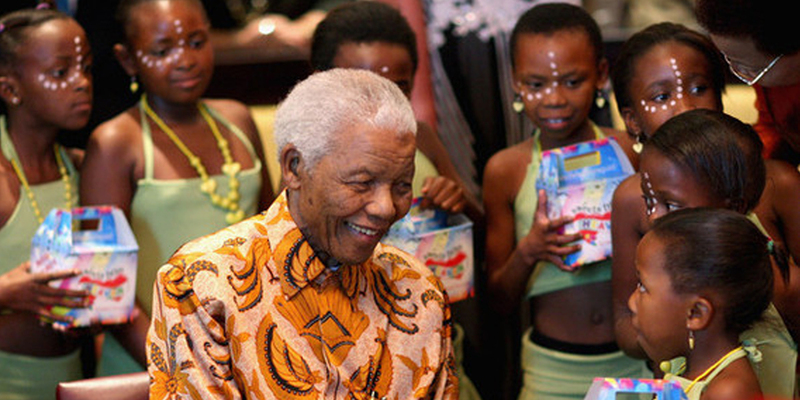 Founded in 1995 by former statesman Nelson R. Mandela, by donating a third of his salary for the duration of his five-year presidency, Nelson Mandela Children’s Fund is a Child-Rights based development organization focusing on advocacy for the Rights of Children and on the creation of an enabling environment for youth agency in public policy. The organization carries out its mandate in partnership with a network of grassroots organizations, and other civic organizations throughout Southern Africa. At its core, The Children’s Fund, through its interventions seeks to normalize childhood, give voice to children, and restore their dignity. The Nelson Mandela Children’s Hospital, the flagship of the Children’s Fund, serves as an example of the family and child-centered values of the organization and the belief in the development of sustainable knowledge-based institutions. The Hospital is the realization of President Mandela’s vision of a leading state-of-the-art hospital to provide specialized, accessible care for all Southern African children, and it is only the second dedicated children’s hospital to exist in Southern Africa. The Hospital operates as an academic referral facility, specializing in cardiology and cardiothoracic surgery, neurosciences, oncology and hematology, endocrinology, reconstructive and general pediatric surgery. The Mandela Rhodes Foundation is dedicated to building exceptional leadership capacity in Africa, by providing excellent educational and training opportunities to individual Africans with leadership potential from across the continent. These leaders form a continental network of effective social impact across African society and advance equal participation in the global society.